Whether you are involved in a car accident or need to report another type of crime in Los Angeles, your first step is to call the Los Angeles Police Department (LAPD). If you are on the University of California-Los Angeles campus, you should call the UCLA police department. A police report is an official document that keeps track of any information related to a crime or other incident, including what happened and who was involved. By filing a police report, you involve the authorities and may help them identify and apprehend criminals. Call 911 in an emergency. LAPD officers will go to the scene as quickly as possible (see References 2). Call 877-ASK-LAPD for non-emergency calls. An example of this is an incident in which you hit a street sign with your car but nobody is injured. A police officer will respond to the call, but it may not be a top priority (see References 1, 2). Visit a nearby police station and ask to file a report. (see References 1). What Is the Difference Between a Citation & a Traffic Ticket? Answer the police officer's questions as accurately and thoroughly as possible. Be prepared to give your contact information in case police have follow-up questions (see References 1). Ryan, Tom. "How to File a Police Report in Los Angeles." 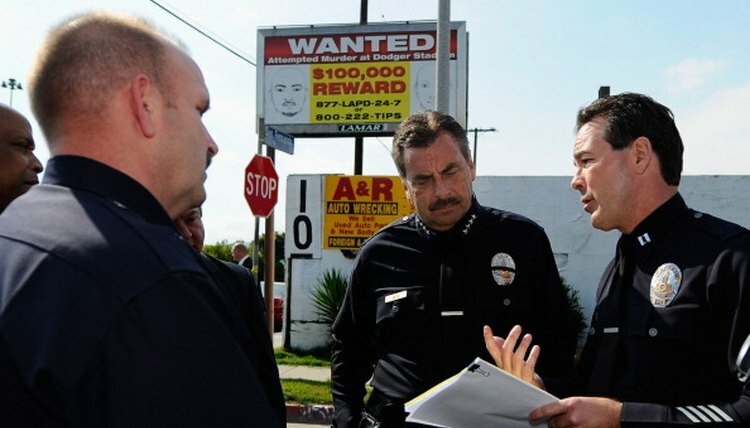 , https://legalbeagle.com/12544141-how-to-file-a-police-report-in-los-angeles.html. 25 October 2017.